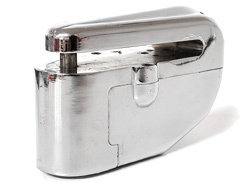 Padlocks with built in sirens or alarms are relatively new to the market. Our studies have shown the alarm is an effective deterrent but they are all still designed to be secure as a lock without the added deterrent of the alarm and they can be set with the alarm deactivated if necessary. Since their invention around 2008 many users simply lock them onto items that cannot be secured but they don't wish to be tampered with. For example, tools on site, plant pots, statues, furniture, tents and wheelie bins. 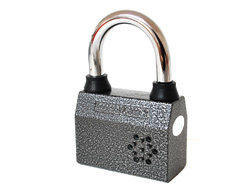 This is our entry level alarm padlock for general purpose security. 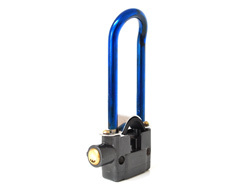 It has a good solid 8mm shackle with plenty of clearance to fit to a number of applications. It can be locked with the alarm in both activated and deactivated modes. 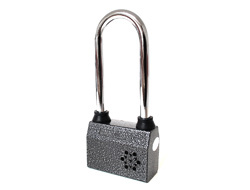 The long shackle version of our entry level alarm padlock for general purpose security. The same solid 8mm shackle with even more clearance to allow it to be fitted to a wider variety of applications. 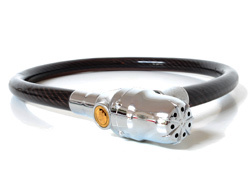 A thick steel cable with an integrated locking alarm unit on the end. The 10mm internal steel cable is surrounded by a thick plastic sheath and can be locked with the alarm system both active or inactive. This is an entry level lock design to be fitted directly to the disc brake of a motorcycle. Made from solid steel and activated when moved. It will also prevent the wheel of the bike from rotating. This is an extra wide D-Lock with an integrated alarm. 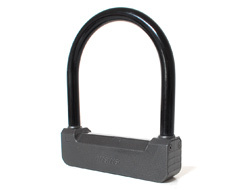 The large internal clearance of this D-Lock makes it ideal for gates or bikes. Similar to our wide shackle version but with extra long shackle instead. This D-Lock with an integrated alarm is very popular for gates and bikes alike since it has so much clearance. 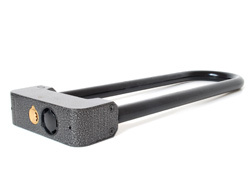 This is a fairly unique lock in that it fits permanently to the frame or suspension forks of your bike making it easy to transport without a bag.